Malaysia’s Good Food & Stay Guide » Blog Archive » Manhattan Fish Market RM7.99 is Back! 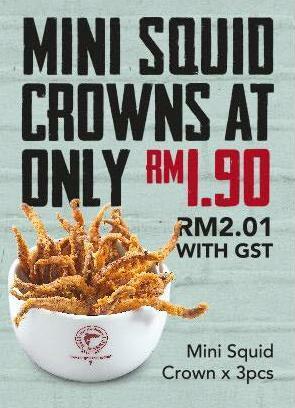 Manhattan Fish Market RM7.99 is Back! - Sides RM1.90 / RM3.90 soup of the day, selected drinks. Highly recommended the seafood soup and chewy fresh fried baby squid! This entry was posted on Monday, April 24th, 2017 at 12:22 pm	and is filed under Food Promo, Heavenly Klang Valley Food, Mesmerizing Penang, Set Dinner, Western Restaurant, set lunch. You can follow any responses to this entry through the RSS 2.0 feed. You can leave a response, or trackback from your own site.